Hot hatch fans will be treated to a huge display of classic and modern GTis at the Goodwood Festival of Speed as Peugeot marks 30 years since it first introduced the iconic 205 GTi. As well as showing off a classic collection of 205s, the Peugeot stand will host the international launch of the 208 GTi 30th Anniversary Limited Edition. 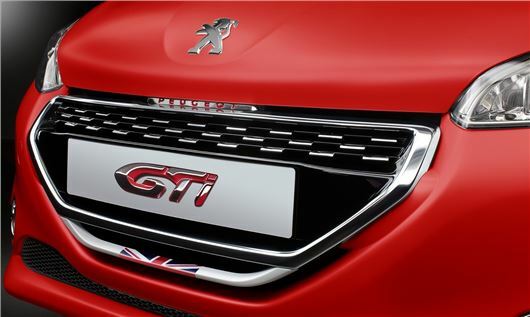 Details about the Anniversary Limited Edition are still under embargo, but industry insiders are claiming that the 208 GTi will be given a power boost and a new bodykit to celebrate the launch of the 205 GTi in 1984. Both the 205 GTi and 208 GTi 30th Anniversary Limited Edition will be on display on the Peugeot stand and in action on the world famous Goodwood Hill. Peugeot will also be displaying its entire car range at Goodwood, alongside some special racers and concepts, which will include the new 2008 Dakar car. Peugeot has a long history with the Dakar Rally, having won it four times in the 1980s and ‘90s with the 205 and 405. The 2008 DKR is set to take part in the 15-day endurance competition in 2015 and is based on the 2008 SUV. The 275PS Exalt Concept will also be making its European debut at the Festival of Speed, alongside the 270PS 308 R Concept. A number of Peugeots will be in action across the weekend, including the 2013 208 T16 Pikes Peak car - driven by nine-times World Rally Champion Sébastien Loeb. The 1988 405 T16 GR Pikes Peak car will also be powering up Goodwood Hill, driven by its owner Enda Garvey.